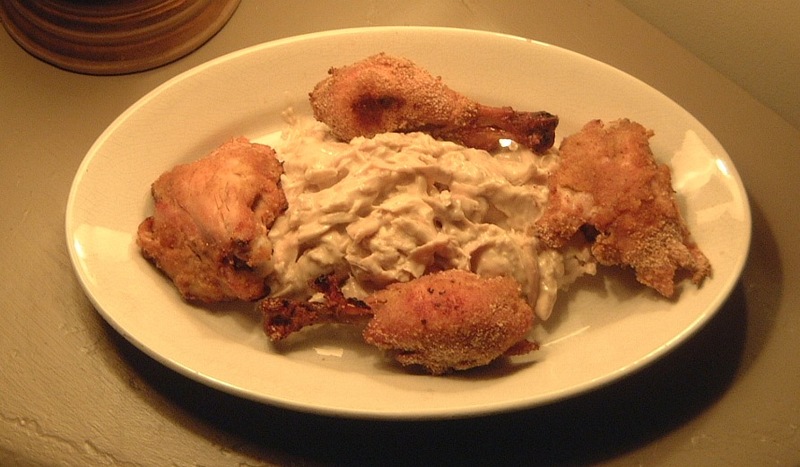 This entry was posted in Uncategorized and tagged Chicken Dishes. I adore the Fortune Stanley cookbook. Love to read about your cooking. In your other blog you wrote about your stove — do show it to us one day. I promise to! And I just discovered your blog today; it is wonderful. I’ll put it in the blogroll here. Sounds like it’s worth a try. All things considered, I am surprised you didn’t cook a tart in this woman’s dubious honor. Seconds about the stove. Is it a Chambers? My great aunt had one. Big and heavy with enough chrome, my great uncle called it Caddy. The ovens were wonderful. Yes, it is a Chambers! I have never had any affection for a household appliance, but I do for the Chambers and our Dyson vacuum cleaner. 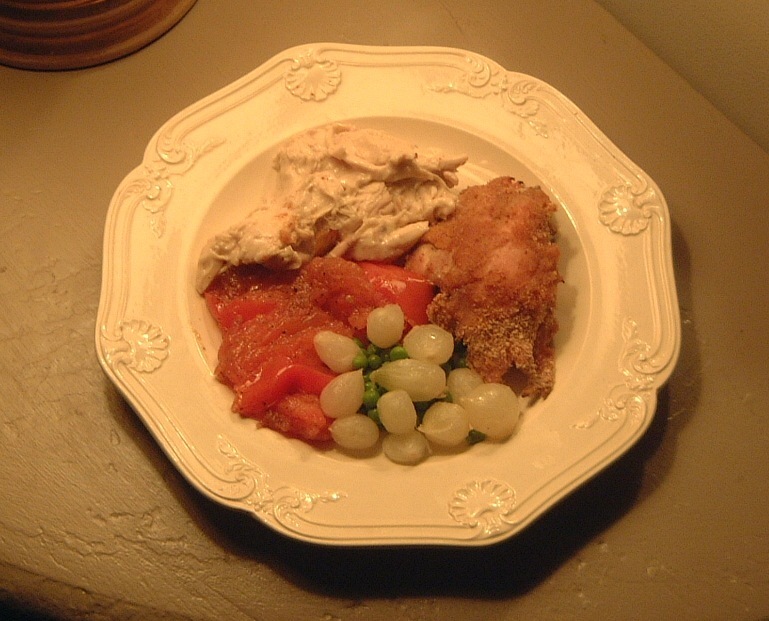 I plan a kitchen post in the near future to show you what dismal surroundings our food is prepared! Actually, I think you have been mis-informed. Mrs Greville was always short and plump, only becoming thin in the very last few months of her life, aged 79, as she was dying in the Dorchester Hotel (September 1942). She rarely wore cosmetics, and certainly didn’t dye her hair, which was dark when she was young, allowing it to go grey naturally. She was never red-headed, either naturally or by artifice. It is fair to say that she could be waspish, but she was not the vicious harridan suggested here. She was very popular among her contemporaries and Queen Elizabeth, who you quoted here, also called her a ‘dear old thing’ and remarked that she was ‘so kind’. I have corrected the information about Mrs Greville’s appearance. However, since numerous people who knew her loathed her, and on record in letters, diaries, and the like. Based on that I think it fair to say Mrs Greville was indeed “a nasty piece of work” in the minds of most people, the queen’s comments notwithstanding.